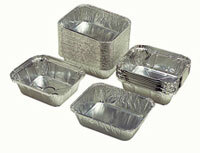 We stock a wide range of catering disposables, including food packaging, catering quality tin foil, cling film, baking parchment and greaseproof paper suitable for professional kitchens or domestic use in regular rolls or the Wrapmaster systems were dispensers can be wall mounted or on the counter. Food hygiene and being compliant with legislation is vital in all hospitality environments we can assist you with our range of food hygiene labels to ensure you meet all HACCP requirements including allergy awareness. The napkins we stock range from very high-quality Airlaid manufactured in Italy, 40 and 33cm 2ply napkins in a range of colours and 1/4 or 8 folded, dispenser, cocktail and 1ply to suit every establishment, and now we have an Eco-friendly Napkin manufactured from recycled cartons. Hotel complimentary products for bathrooms in bottle or sachets depending on what you wish to offer your clients. All available for next day delivery throughout Ireland.